Modern dogs are built like their ancestors and we believe they should eat like them, too. How do you know if your dog’s food is Biologically Appropriate™? It’s simple, just answer our Biologically Appropriate™ ‘three meat questions’. 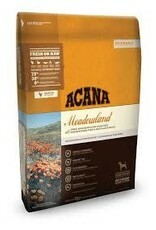 Entirely free of plant protein concentrates, ACANA Meadowland is loaded with 70% poultry, fish and eggs — more than twice as much as most pet specialty foods. Plus, all our ingredients are deemed fit for human consumption prior to inclusion in our foods. 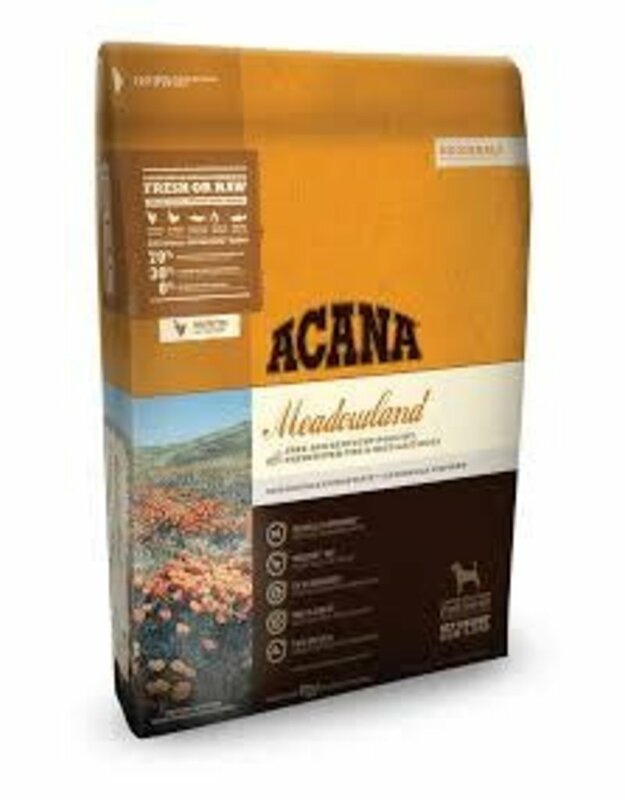 ACANA mirrors the natural diet, applying our Meat Math and incorporating WholePrey™ meat, organs and cartilage in ratios that deliver nutrients naturally. By providing a concentrated, natural source of virtually every nutrient your dog needs to thrive, you eliminate the need for long lists of synthetic additives. That’s why zinc is our only added supplement.